Children who have Sensory Processing Disorders seem to learn best through use of multisensory approaches that do not overwhelm. This means that using a combination of sensory inputs and prompting self-initiated, but different forms of sensory stimulation, is likely to enhance learning. Vision was activated when this activity was presented by showing the youngster a wooden playhouse with familiar letter cutouts. He knew several of these letters from school and was able to name some of them. He watched (once again using vision) while the first three letters of the alphabet were placed into the surprise box, and even helped to shake the box up. Audition and language were linked with vision when the youngster said which letter he was going to select first as he reached into the surprise box. 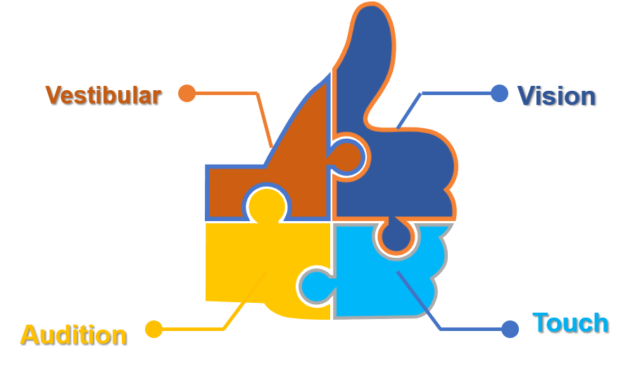 This form of linkage is commonly termed visual association. This skill enables a person to associate a visual image with its label or name of a specific object. Visual association skills are essential for success in reading. The youngster was prompted to remember that the letter “A” had straight edges, and not round edges like the “B” or “C”. In this way, he was prompted to associate vision with touch/ tactile input. The ability to associate vision with touch sensations is a skill used for daily living activities such as buttoning buttons and using tools. 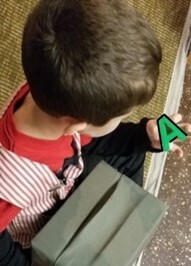 As he put his hand into the box and felt for the pieces he excitedly said, “I found it!” when he was able to feel and then pull the letter “A” out of the box. Proprioception and touch sensations were used as the youngster manipulated the letter shapes within the surprise box. When he was prompted to “remember” straight versus rounded edges, activation of inputs from visual and auditory memory centers of the brain were being added to the mix. For children who use alternate sensory channels for learning, this blend of inputs helps to solidify their knowledge base. Pulling himself toward the target activated sensory receptors in his arms and core muscles of the trunk, and helped to reinforce attention to task. 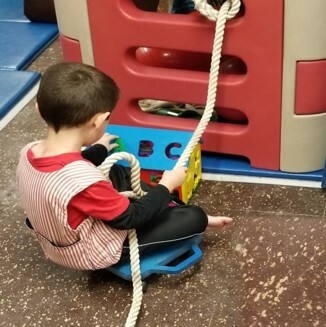 Vestibular activation was accomplished by having the youngster sit on a scooter and pull himself along using a rope. 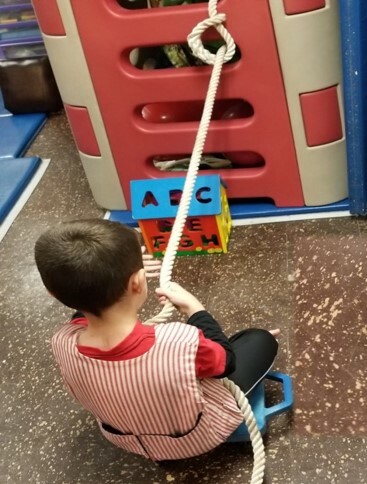 Pulling on the rope toward the alphabet house set up the proprioceptive system for integration of direction with movement. You can read more about multisensory instructional approaches in this post by https://www.understood.org.